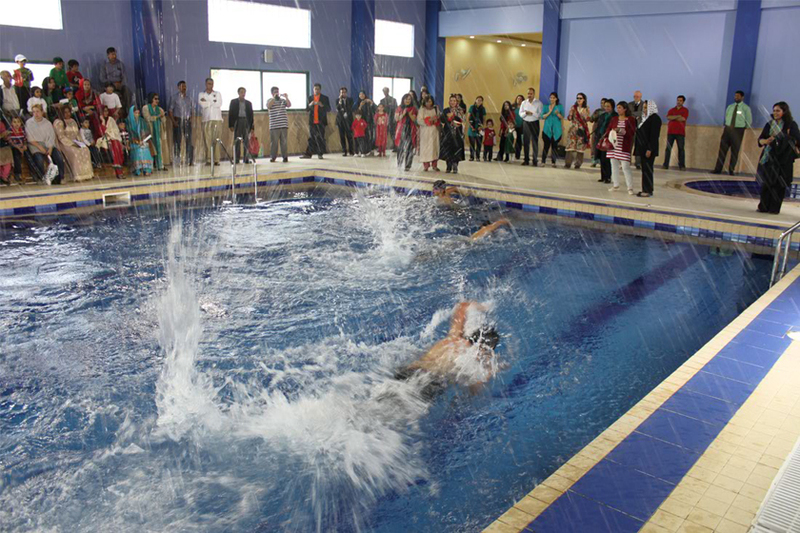 Sheikh Zayed International Academy encourages students to excel in sports and other athletics. 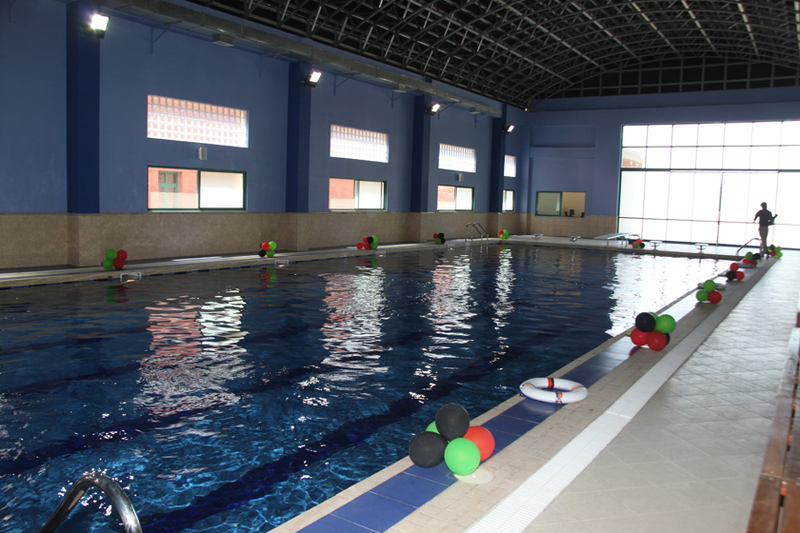 The school facilitates the students to develop these skills by two covered and heated pools for Pre-School students and Grades 1 to 12 respectively. 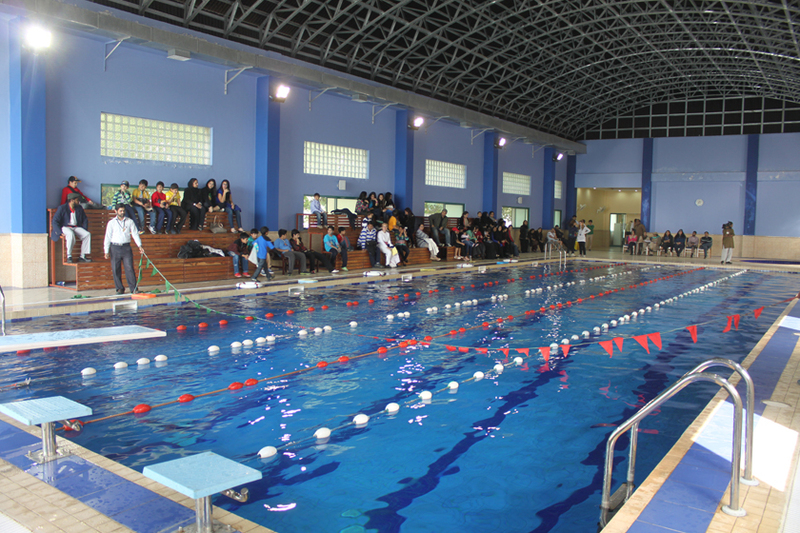 The swimming pool that is 25 meters long and goes up to 12 meters in depth can be used all year round, as it is equipped with central heating system. 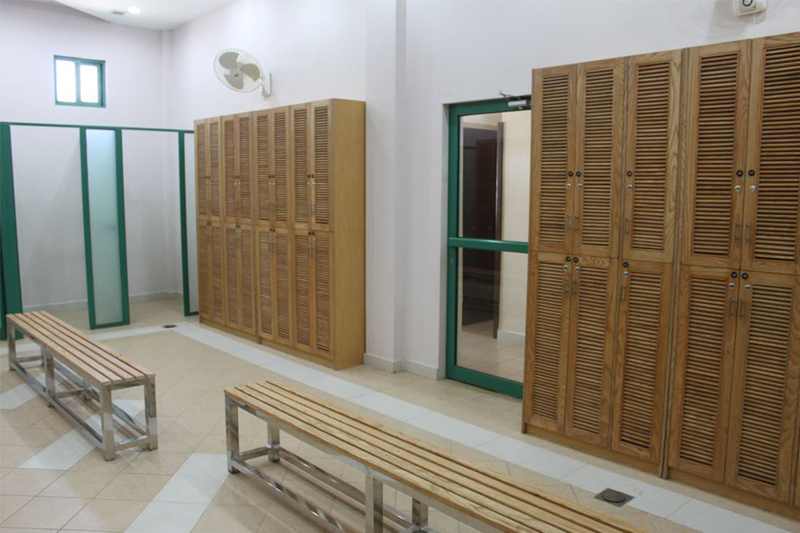 Male and female Life Guards are available for male and female students along with separate changing rooms, bathrooms, and showers. 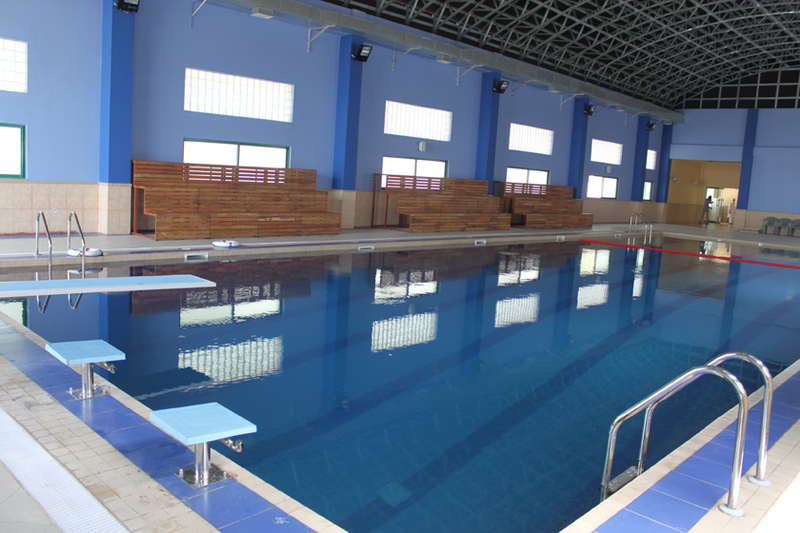 There is filtration system, maintenance system to measure chemical levels, and fresh air exhaust system to keep the swimming environment hygienic and safe for student health. 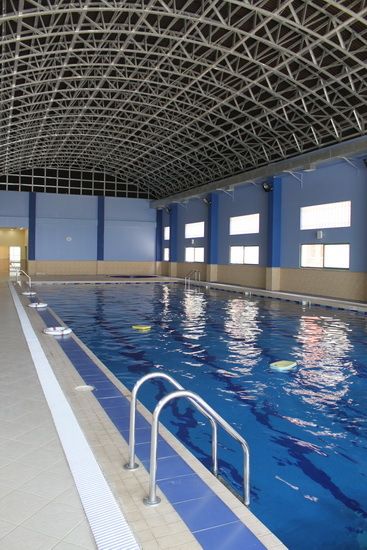 A fully equipped Gymnasium is also located in the pool area with quality machinery. A fitness trainer is there to instruct students regarding exercises. Gym is for senior students; however parents interested in joining the gym can get a membership to avail this facility after aΩschool hours. 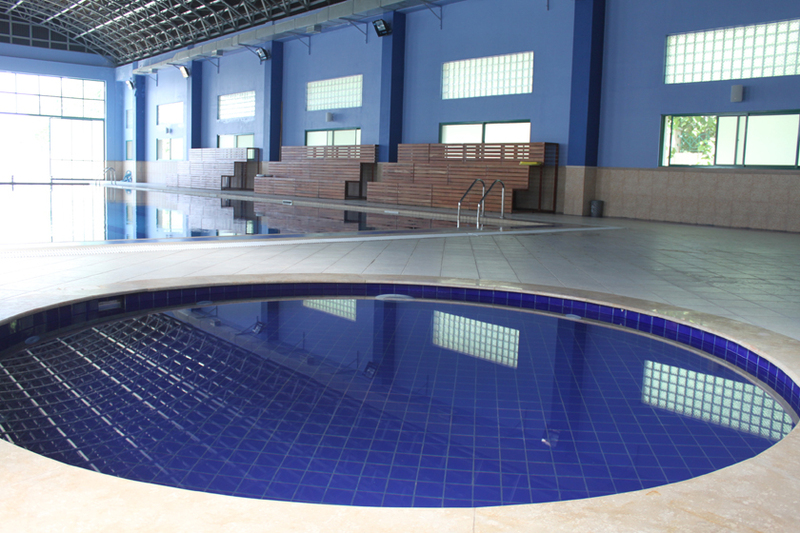 Friends and other acquaintances upon recommendation can also use the gym and the swimming pool. 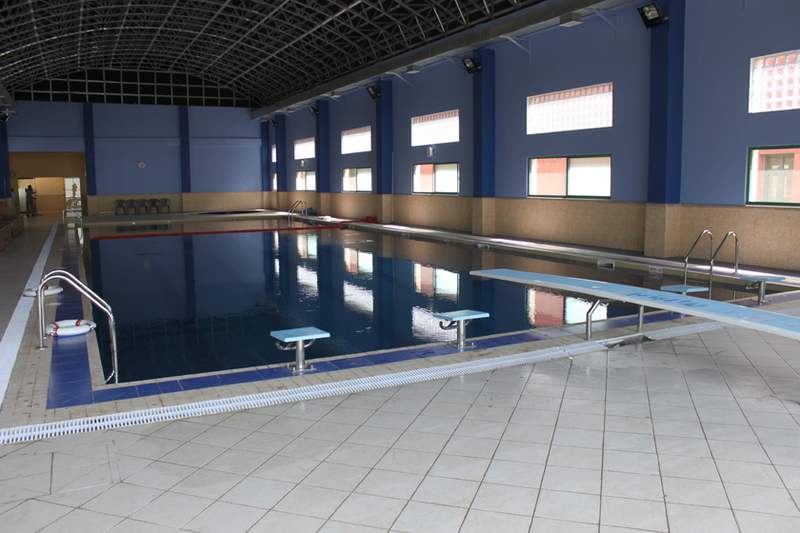 Kindly note that the swimming pool timings and days have been changed from twice a week to once a week, effective from Monday, November 17, 2014. You can find the new timetable below. 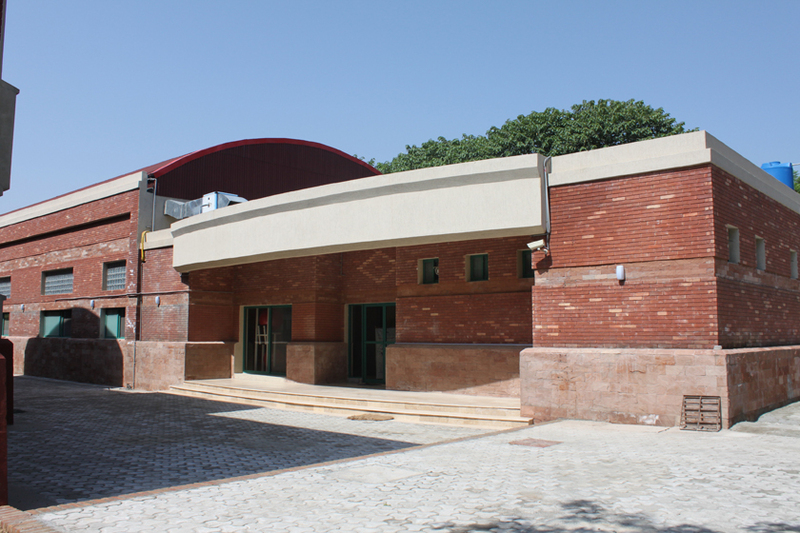 Parents / family friends / relatives / staff members are offered to register themselves with the Principal’s Office Manager, Mrs. Saroosh Bilal, for the current Academic Year 2014-2015. The monthly payment is Rs. 5000 per person.